All wrestling parents are expected to download this free app upon completion of registration. 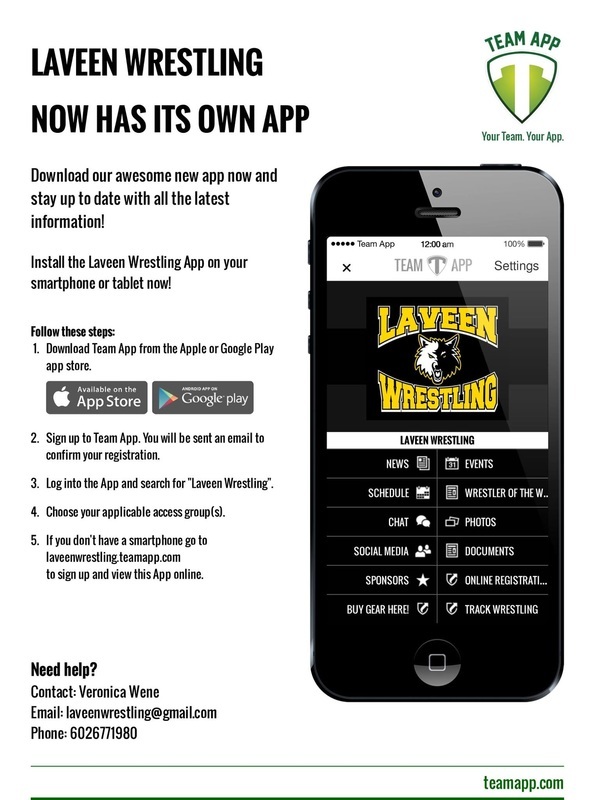 For up to date real time information on team practices, tournaments, & news, join Laveen Wrestling's Team App! Joining is fast, free, and easy!